For some people, the ability to think clearly and the ability to move freely are intertwined. Sitting for hours at a desk, with no sound to distract you and no reason to get up and move around is helpful for some learners, but absolutely sabotaging to the success of others. The fact that every person is wired slightly differently, and that everyone thrives in different environments is what makes the world an interesting place to live. Dance movement therapy is based off of the well-known principals regarding the benefits of movement for the health of the whole body, including mental and physical well-being. Movement in any sort of physical activity stimulates the production and release of endorphins, which are chemicals travel through the bloodstream and enhance feelings of happiness and euphoria. Endorphins can also reduce stress, stabilize your mood and improve problem solving ability, which is why taking a walk to clear your head really does work. Dance movement therapy uses physical activity to improve mental and physical health through strategic movements that are designed to improve intellectual, emotional and motor functions of the body. This is a form of expressive therapy, which means that similarly to writing and painting, dance movement therapy provides the individual with the ability to convey emotion in a non-verbal means. In fact, the core purpose of dance movement therapy is to improve an individual’s ability to understand their emotional process and connect movements with emotions in a way that will improving coping skills during periods of emotional distress. Dance movement therapy is a form of movement psychotherapy, and is very different from just a traditional dance class. While any sort of exercise class can stimulate endorphin production and may help you to feel more clear headed due to the physical exertion that you exhibited during the workout, dance movement therapy utilizes elements of psychotherapy during the exercise routine to provide benefits for mental health alongside the physical benefits of the aerobic activity. During a dance movement therapy session, the therapist is in the room with the dancer and both individuals are dancing to communicate and express emotion. The poses, movements and fluidity of the dance is designed with the client in mind, and are designed to particularly support the individual. During the session, the therapist will respond to movements, assess body language, interpret nonverbal behavior and emotional expressions, and then use all of this information to respond to the client. Throughout all of this, movement is a key component of the process. Movement is the primary tool by which the therapist will observe, evaluate, and implement therapeutic intervention during this type of psychotherapy model. Mirroring: This is the process of matching and echoing a person’s movements, so that the individual can see their own actions, as if they were looking in a mirror. This is an exercise in validation for the individual. Movement metaphors: Occasionally a movement psychotherapist will bring in a prop to help physically and expressively demonstrate a particular emotion or event that is being considered during the therapy session. A common example of this would be if an individual struggled with accepting and then ultimately waived a white flag, a symbol for emotional surrender. Dance movement therapy is considered a useful therapeutic option in the building of a variety of emotional skills. These skills include learning how to develop and trust in yourself, encouraging you to be more empathetically present in any given moment. The ability to respond authentically and truthfully as you interact with friends, family, and colleagues is also typically improved through dance movement therapy, as is learning how to translate nonverbal movements into emotional insights. Dance movement therapy is especially helpful in situations in which verbal communication creates a barrier in helping an individual gain emotional insights or reach a place of mental and emotional peace. Dance movement therapy is considered an ideal form of mental health counseling for children, especially young children who are not yet comfortable with verbal communication, and who may be unable to share verbally true indication of their mental, physical, or emotional health. Dance movement therapy is a career that requires constant development of new skills. There is no standard office environment involved in this type of psychotherapy. There is no couch, no desk, often no chairs of any sort. There is no office building, no quiet nook in a busy metro-center. This form of psychotherapy breaks apart from many of the norms of other forms of mental health counseling and their traditional environments. Instead, dance movement therapy requires a studio. It is possible to engage in dance movement therapy in any environment that allows space for movement, including a school gym, a community center, or a private dance studio. The counseling process does require privacy, so working in a public space is not encouraged. It is important that the individual feels safe and secure in the therapy setting, and public and oversized venues do not allow for this. It is best practice for the therapist to have their own venue where the client can visit them. Most dance movement therapists create a schedule that works to their needs. Appointments will depend upon client availability, and the length of a session will depend on the issues being addressed during that time, and your agreed upon appointment. Dance movement therapy is physically taxing, so long appointments are often not ideal as fatigue may prevent greater breakthrough, but in some circumstances longer exchanges are warranted. Dance movement therapy requires many of the same credentials as a traditional mental health counselor. This is because the core of the profession is the same as any other psychotherapist. 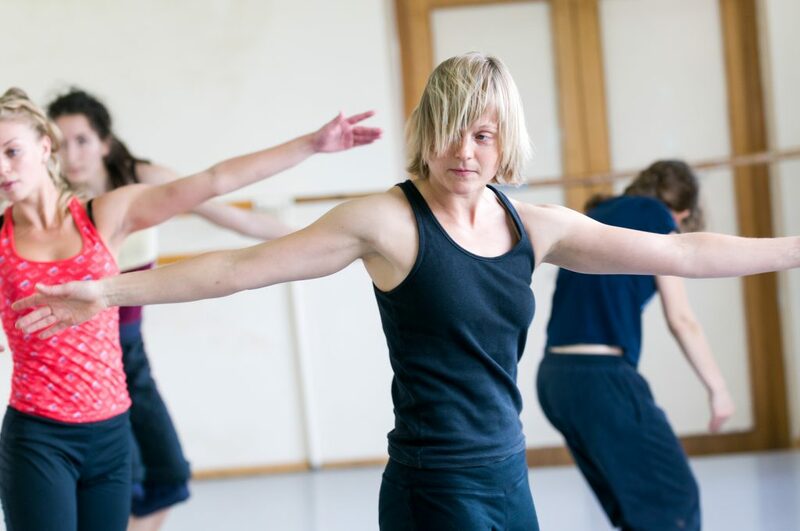 The objective of the dance movement therapist is to emotionally connect with the client, and to provide emotional support and guidance through mental issues and concerns. However, in addition to traditional mental health counseling training, dance movement therapists go through additional credentialing steps so to be able to practice this specific form of psychotherapy. This credential is only awarded at the graduate level. This means that practitioners must have completed their bachelor’s degree and completed at minimum a Master Level’s degree in psychotherapy or mental health counseling in order to practice dance movement therapy. In addition, independent states typically have their own credentialing requirements that must be met to offer any sort of mental health counseling. Completing an ADTA (American Dance Therapy Association) approved graduate program with the Registered Dance / Movement Therapy (R-DMT) credential. Completing the alternate route to R-DMT certification through an independent process of training, coursework, fieldwork and internship. The alternative R-DMT option is only available to candidates who have previously completed a graduate program in mental health counseling. The ADTA only approves graduate programs that fully comply with their credentialing requirements, which includes all of the components required in the alternate certification route. This includes in-depth training in dance-specific therapy methods, fieldwork and internship. In addition to the above credentials, dance movement therapists who are going to work with children or adolescents have additional requirements that they must meet. The Board of Directors of the American Dance Therapy Association have set the following guidelines in place for individuals who wish to offer dance and movement therapy to those under 18. Dance movement therapists can practice with a standard licensure with the R-DMT distinction, but it is recommended that all therapists strive towards completion of board certification by the American Board of Dance Movement Therapists. Dance and movement therapy programs at the graduate level are designed to educate students in the subjects of psychological theory and history, human growth and development, multicultural perspectives, group process, psychopathology, behavioral research, and also psycho-diagnosis and assessment skills. Specific education in dance movement therapy theoretical practices, as well as expressive and communicative aspects of dance, verbal and non-verbal behavior are also essential. Awareness and proficiency in the basic principles, concepts and techniques necessary for the practice of dance/movement therapy. Developed skills, knowledge and values basic to dance / movement therapy as a profession. Knowledge of dance/movement therapy as a mental health profession within the broader context of society. Knowledge of professional and ethical practice in the field of dance/movement therapy. Methods for expanding knowledge in the field and improving the quality of practice. These objectives are stated directly in the American Dance Therapy Association guidelines and bylaws, and only Master level courses with focus in these precise areas will provide the appropriate credentials for practicing dance and movement therapy in any capacity. In addition, successful dance and movement therapy programs will focus on human anatomy, kinesiology, basic neuroscience, observation and analysis, and clinical applications of dance therapy with individuals, groups and families.